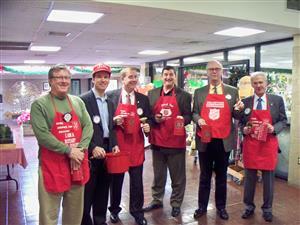 Missed our last club meeting or want to see some of our luncheon speakers in action? View our meetings on YouTube. 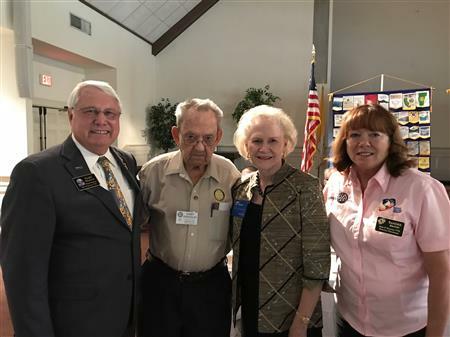 On September 5, 2018, the Rotary Club of Beaufort announced and introduced “Speak Your Peace – The Civility Project.”SM The Beaufort Rotary believes citizens can communicate in a more respectful and effective way and is doing something about it. 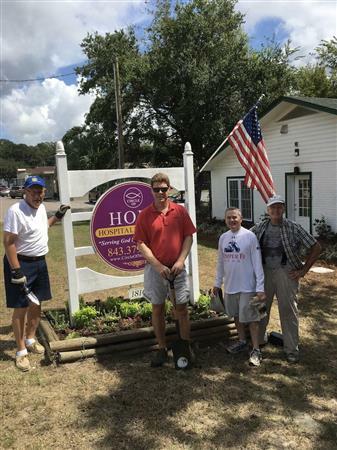 On September 7, 2018 a group of 9 Rotarians from the Beaufort Rotary Club gathered to complete landscaping at the new Circle of Hope Ministries facility on Boundary Street. This new ministry provides emergency care and support for the homeless in Beaufort with an emphasis on homeless veterans. 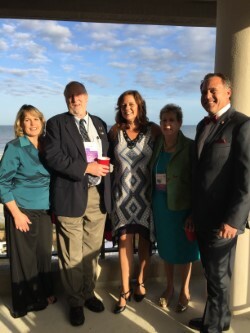 Each year the Rotary Club of Beaufort hosts at least one exchange student. Students come to us from a wide range of countries. Currently we are hosting Michaela Giannini of Genova, Italy. 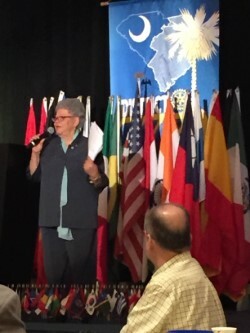 The first woman in Rotary and first female club president Dr. Sylvia Whitlock was a guest speaker at the District 7770 Conference in March 2017 . Where would you live in a war-torn county, in the aftermath of an earthquake, or devastating flood? Hopefully, someone would provide shelter. 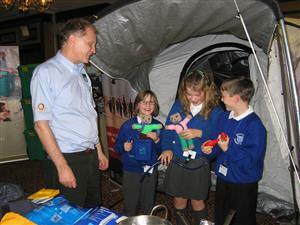 ShelterBox is an official Project Partner of Rotary International.  Logistical and fundraising support from Rotary Clubs across the country have directly helped to improve the lives of hundreds of thousands of disaster victims around the world. Please donate at www.shelterboxusa.org/. 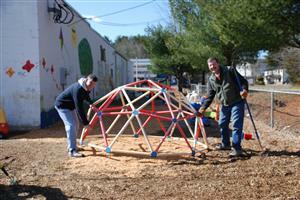 Every donation makes an impact and a difference!